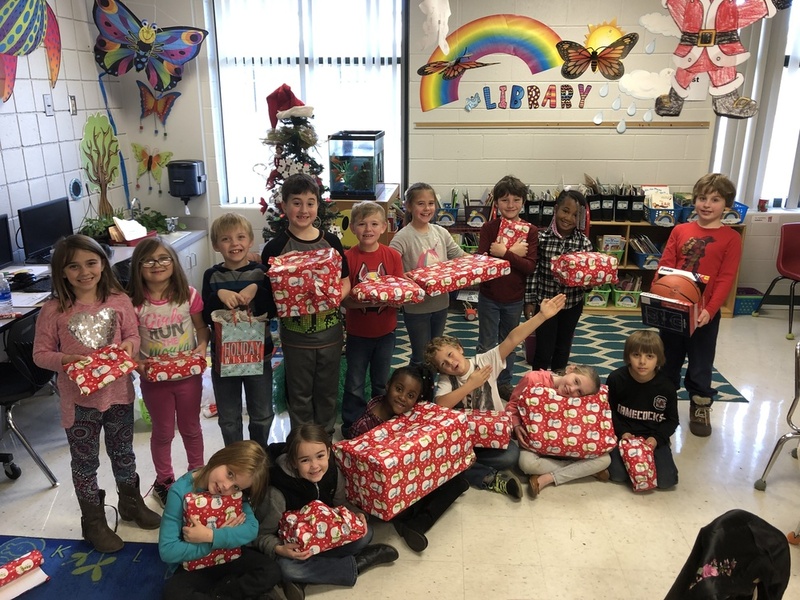 Mrs. Eaves' second graders bought and wrapped presents for a special Angel Tree child. They enjoyed giving to a child in need! Pictured left to right. : Row 1: Jasmyn Shaffner, Carrie Johnston, Lin'daja Franklin, Bradyn Duncan, Bailee Cummins, Jesse Ryan. Row 2: Andy Hughes, Carlie Fields, Bryson McClain, Bentley Miller, Weston Myers, Mary-Adele Hibbard, Carson Ryea, Ja'kya Gambrell, Noah Rivers.